Pulse width modulation (PWM) is a commonly used to for motor speed control. Instead of constant DC voltage, PWM speed control technique uses pulse voltage to drive the motor. The motor speed is controlled by varying the pulse duty cycle. 100% duty cycle is the maximum speed and 0% duty cycle the motor is stopped. 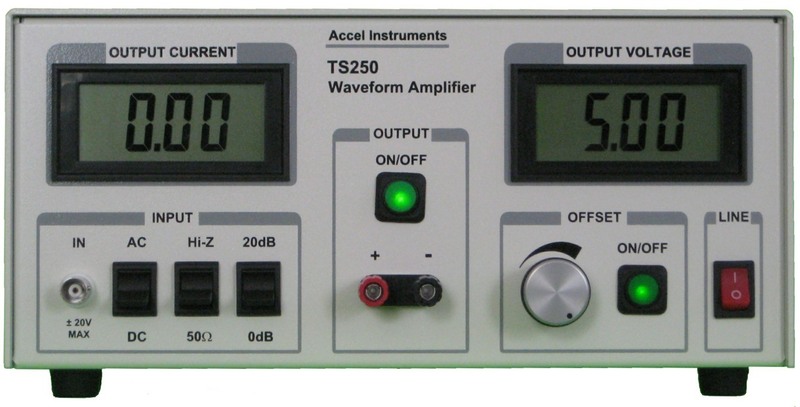 Our waveform amplifier family of products are high-current drivers for electric motors. They can output high current, or high power, or high voltage, or any combination to driver electric motors. Our products offer voltage range up to 65V, or 5A current, or 70 watt in power. Use Table 1 below to select the best voltage and current for driving motor.